PROMONTORY POINT — One of the most iconic scenes in Utah history occurred May 10, 1869, when a Union Pacific train and a Central Pacific train touched for the first time after Leland Stanford, president of the Central Pacific and former governor of California, drove a golden spike into a rail, signifying the completion of the Transcontinental Railroad. 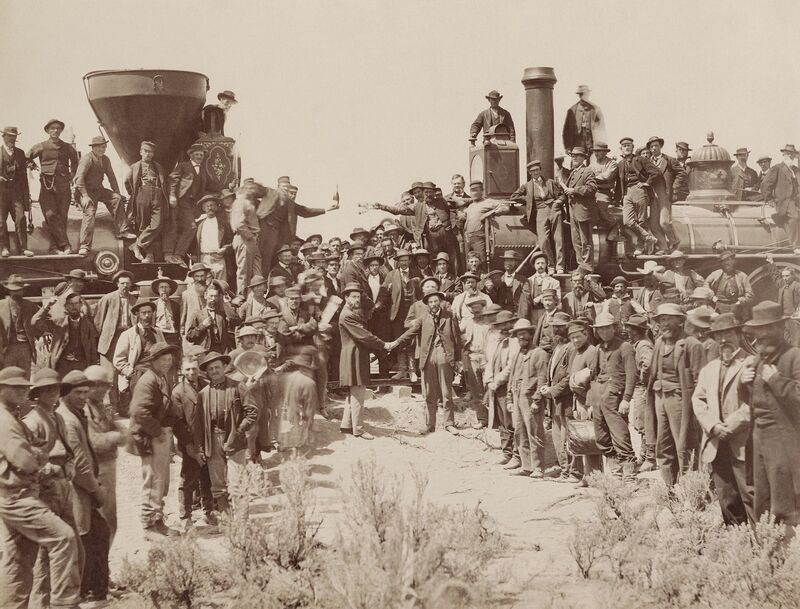 Now 148 years later, on May 10, the Golden Spike National Historic Site will celebrate the anniversary of the golden spike with a recreation of the historic “champagne photo,” a performance by Box Elder High School Band, traditional anniversary program, a re-enactment of the original 1869 ceremony and locomotive steam demonstrations. This year’s keynote speaker will be Jimmy Chen, professor of computer science and information systems and Utah adviser of Overseas Community Affairs Council, Republic of China (Taiwan). Due to limited parking, visitors are encouraged to carpool and arrive early. Accessible parking spaces are available at the visitor center. In addition to bleacher seating, there is space for blankets and lawn chairs. Picnic lunches are welcome or food can be purchased at the event. What: 148th anniversary of the driving of the Golden Spike. Where: Golden Spike National Historic Site, 32 miles west of Brigham City via state Routes 13 and 83. More information: Call telephone 435-471-2209 extension 29 between 9 a.m. and 5 p.m. I hate to be difficult, but why not wait two more years and make it an even 150? Or do they do this every year?